Ah, we know well of which you write! Four months...did you say four whole months....we get perhaps 4 minutes and the seams have been ripped and the hunt for squeakers begins....sad to say we just don't buy them anymore, however we had better luck with the "flat stuffies " no stuffing and I surgically remove the squeakers before the gifting begins....those are still in the toy basket! Their wallet wishes that someone would make squeaky toys that are "terrier tough". Our Scottie, Rosie loves her "JW Pet Tough by Nature Bad Cuz" toys. They are tough enough for Scottie jaws & teeth. Plus they have a great squeaky inside that is extremely hard to kill. Rosie has a several of them all in different shapes. She loves shifting through the toy basket looking for the right one for her mood. I think you can get them just about everywhere and online, too. You may not know about Zac's big dog. It didn't squeak. It was bought from a salvation army store when he was a puppy and bigger than he was. He slept on it, played with it, dragged it around the garden and slowly over the years unstuffed it. It was washed from time to time but always had to be available at night. Eventually it was just a ragged lump of sheepskin but still the thing he went to when excited, cross or frightened by the bad guys on the tv. It went with him and I hope there is a fully stuffed Big Dog with Zac over the rainbow bridge to comfort him. Sometimes toys are toys and sometimes they're more. I'm glad Mr. K can look forward to a new squeaky toy to dissect, perhaps he's training to be a surgeon? So sorry to hear about the death of your Squeaky Toy! If you are looking for more durable toys, our company has spent years designing our line of Bionic toys. After testing, we found less than 5% of dogs can outsmart our chew toys. Our toys additionally float, are dishwasher safe and are recyclable! 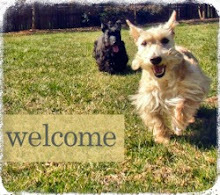 Feel free to check them out at www.bionicplay.com or see people's comments on our Facebook page www.facebook.com/bionicpetproducts. 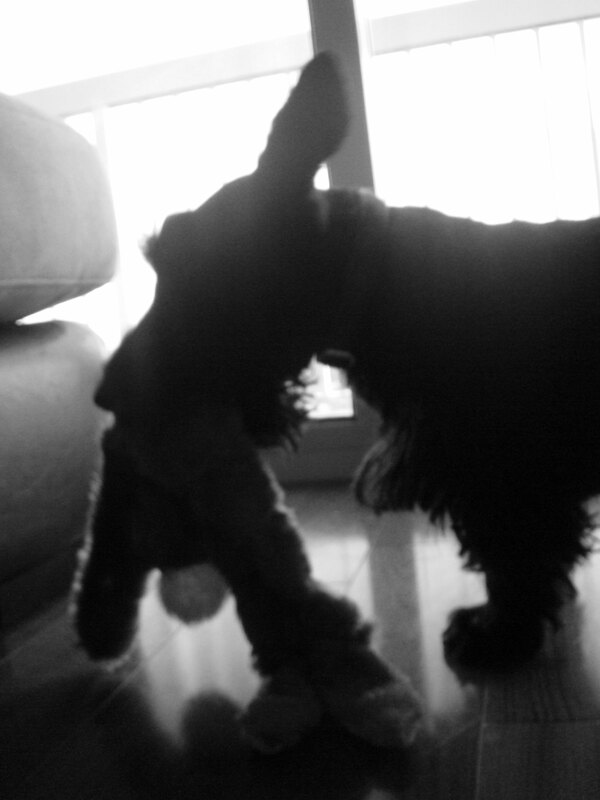 I nearly killed myself and my Scottie boy, when he got a a squeaker, caught in this throat. you know, one of those clear, round squeaks? I was honking my horn, blinking my lites in the night and nearly had a heart attack and accident racing to the vet. in the meantime, robbie was gagging and throwing up on the passenger seat. I wouldn't wish this experience on anyone. It's a lesson I will never forget. 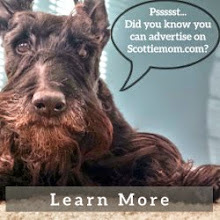 PLEASE SCOTTIE MOMMAS AND DADDYS: Don't leave the Scotty kids ALONE with the squeak toys!